From invisible speakers and floor-standing "body monitors" that can cost in excess of $10,000, here are some of the more interesting items that were on display at LTS. NEW YORK (TheStreet) -- Officially, it's called the Luxury Technology Show: an event designed to feature "the latest innovations from some of the most prestigious and cutting edge technology brands from around the world." It's a smaller-scale product showcase than the CES in Las Vegas. There were no $10,000 Apple (AAPL - Get Report) Watches, no Sony (SNE - Get Report) 4K flat-screen TVs, nor even any 3D printers to be found on the show floor Thursday evening. But there were a number of expensive items on display, ranging from a Lamborghini (automobile not phone) and a BMW i8 to luxury audio items from Harman (HAR international and McIntosh. 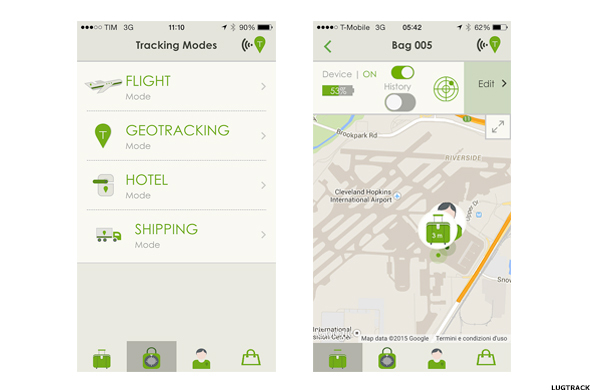 LugTrack is an intelligent, interactive system designed to keep track of your luggage when you travel. It consists of a module placed inside your luggage which gathers and stores information about where your bag is located at any given time, as well as when it might have been opened, and sends that information via SMS messages to your smartphone or other device. The company is working on modules which will also send you photos of anyone who opens your luggage, for any reason. Airline workers, hotel staff, shippers. Use LugTrack to keep tabs on your clothing, computer bags, golf clubs or skis. You get the idea. For now, the LugTrack system will be available pre-installed in a number of luxury luggage brands. Final pricing will be up to each luggage manufacturer, but LugTrack should add an estimated $50 to $100 to the price of each bag. 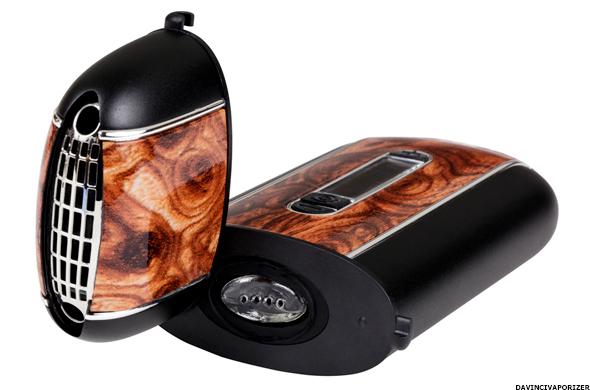 The Ascent is DaVinci's top-of-the-line electronic smoking device. They call it "the ultimate portable vaporizer. That's because it's much more than an electronic cigarette. About the size of an old-fashioned flip phone, it's a hand-held, computer-controlled unit with an OLED screen, a ceramic chamber to vaporize the essence of "tobacco, oils and herbs", an all-glass path for the vapor, and a rechargeable battery that's said to be good for up to 3 hours of vaping. For the record, suggested herbs include St. John's Wort, cloves, sage, ginger and ginseng. The Ascent retails for $250. DaVinci also offers a line of "Aromatherapy and Essential Oil Blends" ($36 each) for use in the device. Forget everything you know about bathroom scales. 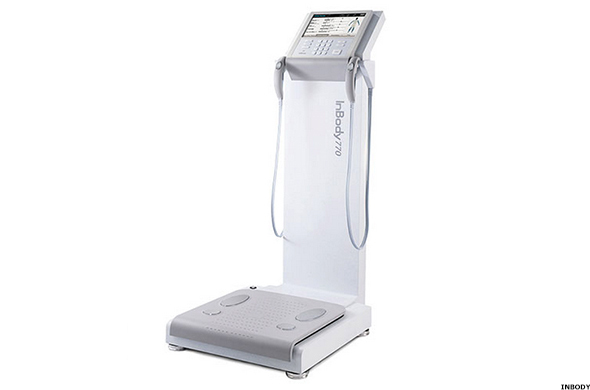 The InBody line of "Body Composition Analyzers" could change the way you think about checking your weight. InBody USA says its floor-standing machines will let you "see what you're made of." They check body composition, analyze muscle-to-fat ratios, body water content and basal metabolic rate, along with calculating your visceral fat level and lots more. This level of personal fitness knowledge does not come cheap. The InBody devices on the show floor ranged in price from $6,000 up to $19,000 for the top-of-the-line unit. I'm guessing most of these systems will probably be installed in group settings such as gyms and doctors offices, not in home bathrooms. A quick check of Amazon.com (AMZN - Get Report) showed smaller, somewhat less technically-advanced "smart body analyzing" scales selling for as little as $29.95. Never underestimate the buying power of pet owners. Or, the ingenuity of pet-loving manufacturers. That's especially true when the new product being offered is an interactive, two-way baby monitor of sorts for animals. 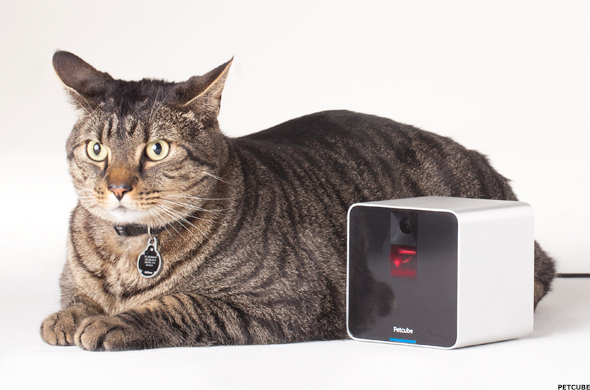 Petcube measures 4-inches square, connects to your Wi-Fi network, and allows you to check on your pets when you're away from home. You can see and hear them in real time on your iOS or Android smartphone or tablet. And it's a two-way device, which means you can also soothe your pets by talking to them and letting them hear their master's voice. Petcube retails for $199. They could probably charge twice that. Pet lovers will usually spend whatever they feel is necessary on their beloved "family members." Forget having to wear a smartwatch or any device to monitor your sleep. 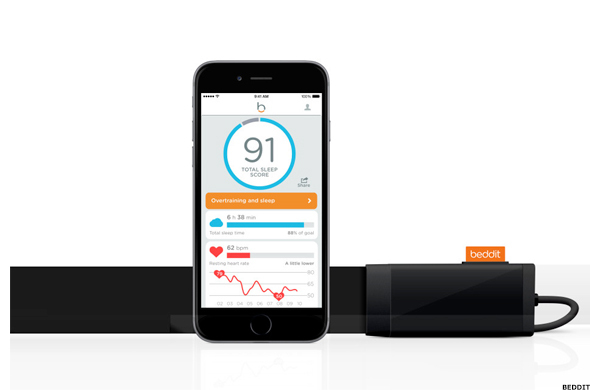 Beddit is like a super-long fitness wristband that goes under your sheets. The heart of Beddit is a sensor that sits on top of your mattress. According to the manufacturer it relies on ballistocardiography to automatically measure your cardio and respiratory functions while you sleep. It can keep track of your total sleep time, heart rate, snoring and any "bed exits." There's a sleep-tracking app (iOS and Android) which presents and analyzes all the data, and suggests ways to help improve your sleep patterns. Muse is a different kind of personal fitness device. It's described as a brain fitness monitor: "like a heart rate monitor for your mind." 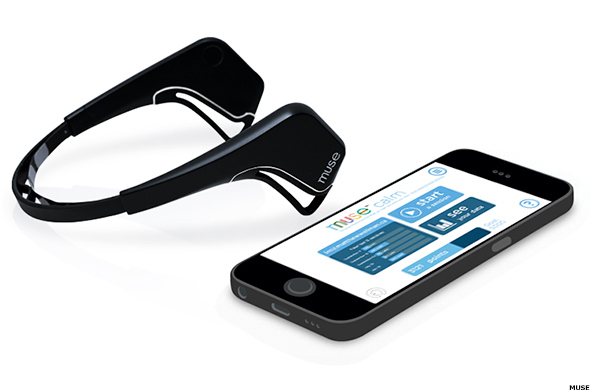 Worn around your forehead, Muse's seven sensors are said to "detect your brain signals during a focused attention exercise" to give you "valuable feedback that you can use to train your brain" and "improve your focus, attention and composure" by using the device as little as 3 minutes each day. It connects, via Bluetooth, to an app designed for iOS, Android and most Amazon Kindle Fire phones/tablets as well as selected BlackBerry (BBRY devices. Muse sells for $299. A carrying case is an extra $40. First of all, it really is "invisible." Even when standing right next to it, you can't really tell where the sound is coming from. Visually, Clio is a stunning desktop design. In simple terms, the speaker consists of a piece of plastic that is made to vibrate. Clio calls the technology Edge Motion. The engineers claim it "uses a very different mechanical principle to generate sound." 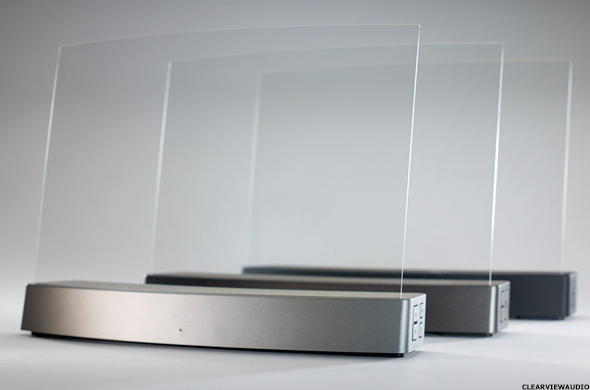 Instead of pushing from behind, Clio "uses piezo-electric actuators to stimulate the sides of an optically clear acrylic glass stereo transducer to provide an extremely efficient piston-like motion." On paper, it sounds great. But in real life, that wasn't the case. In what were admittedly less-than ideal listening conditions (lots of people in a huge demonstration space), Clio provided no discernible bass or treble. What it did offer was one-speaker "stereo" sound that seemed somewhat lifeless and distorted. In this case, I would have preferred the speaker have been inaudible as well as invisible. - Written by Gary Krakow in New York.